On your marks, get set, EARN! 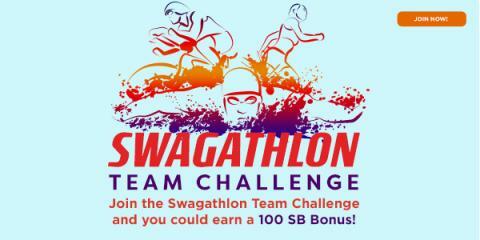 Swagbucks is holding a fun team challenge called the Swagathlon to help you earn free gift cards! The challenge, begins Monday, July 17th at 8am PT, but you can pre-register starting on Friday, July 14th! Your SB Swag Up Rebate will be made available on Friday, July 21st at 2pm PT and will expire on Friday, August 4th at 11:59pm PT.